Buying a reusable water bottle is an easy step to “going green.” A no-brainer, yet U.S. consumption shows otherwise. Annually, U.S.-purchased bottled water production consumes more oil than 1.3 million cars, more energy than 190,000 homes. The recommended eight glasses a day? You’re looking at $1,400 in bottled water. From the tap, that’s less than a buck. Active Junky votes to fill bottles rather than landfills. 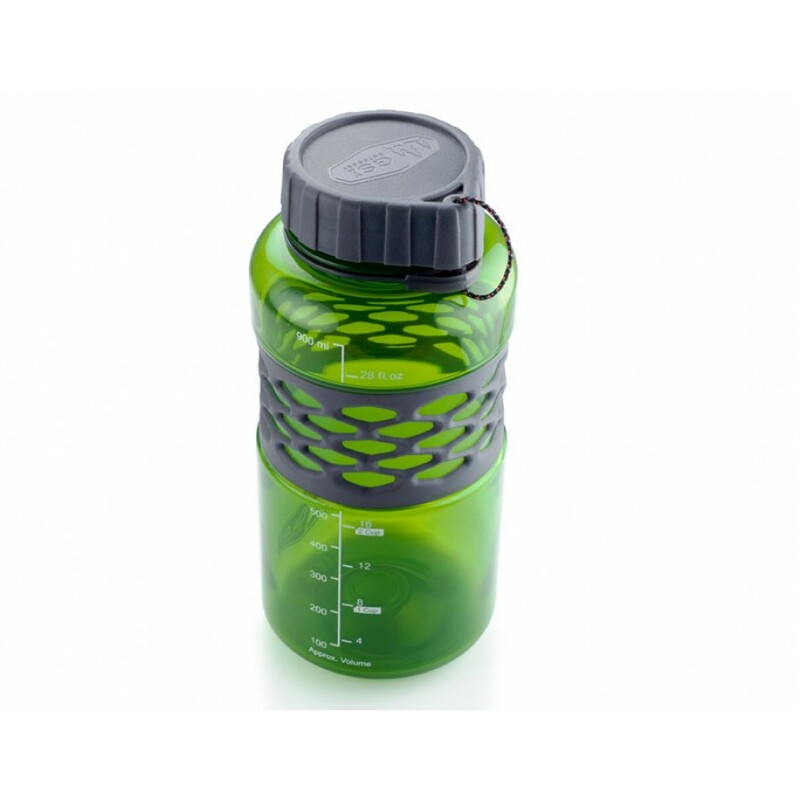 These top water bottle picks mean pure refreshment from a small, up-front investment. And don’t forget to sign up for Active Junky for exclusive deals and cashback on your gear purchases. Volume: How much does it hold? Packability: Is it trail appropriate? Heavy and unwieldy? Durability: If you drop it, what’s going to happen? Five years later, will you still have it? Ease of Use: Straws allow for tilt-less sipping. Smaller openings minimize spillage. Larger openings accommodate ice and are easier to clean. Versatility: What can you carry in it? Is it multipurpose? The BPA scare turned thousands away from plastic water bottles. Next generation, BPA-free plastics provide chemically-safe, durable options. Two meters of duct tape serves a million uses in a pinch and stores neatly on the DukJug. 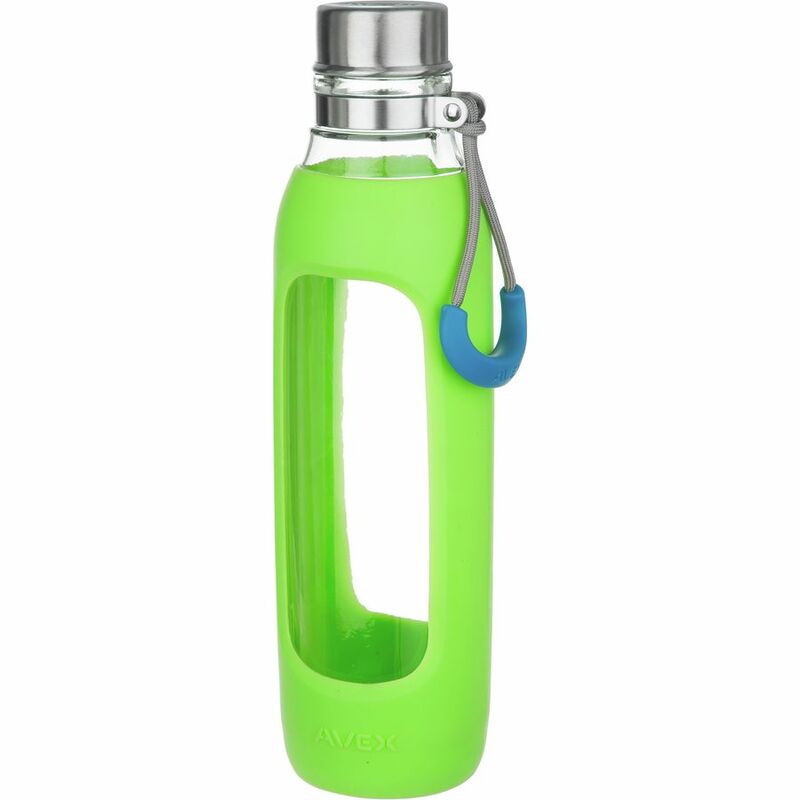 Slip in the Sip-It insert for spill-free sipping, then remove it for easy cleaning. Call it the best of both (or all) worlds. 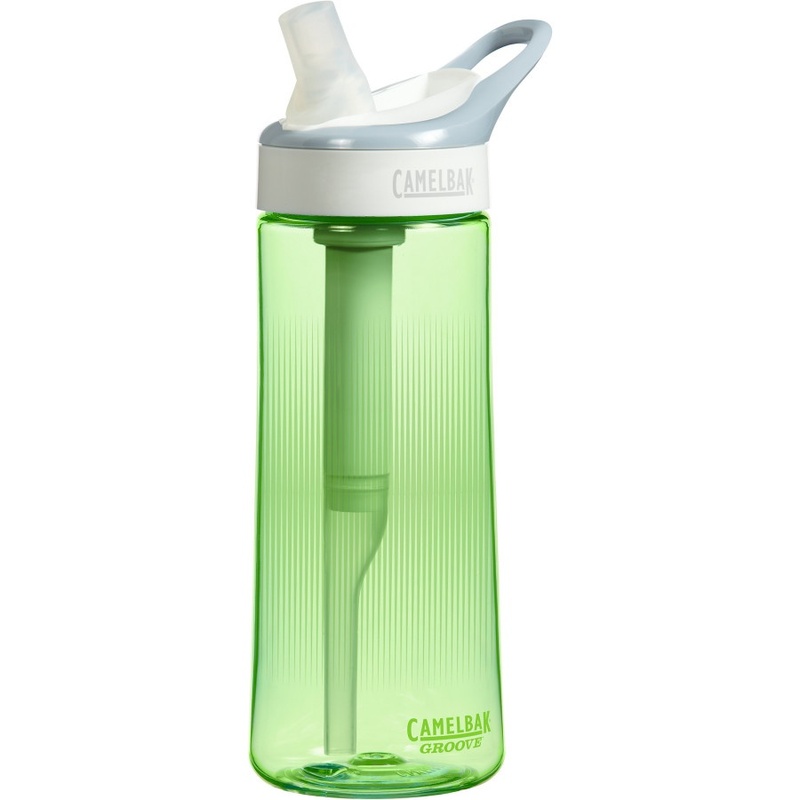 CamelBak’s easy-drinking bite valve now includes a filter built into the straw. This won’t filter out bacteria, but greatly improves the taste of potable tap water. 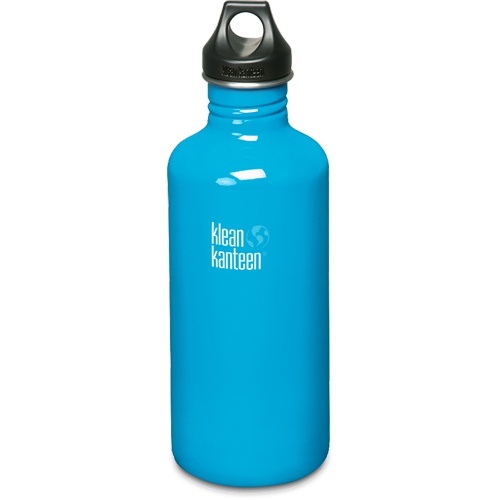 Stainless steel water bottles are durable, eco-friendly alternatives to plastic. As with other metal containers, these picks employ high-quality materials to prevent clingy tastes. 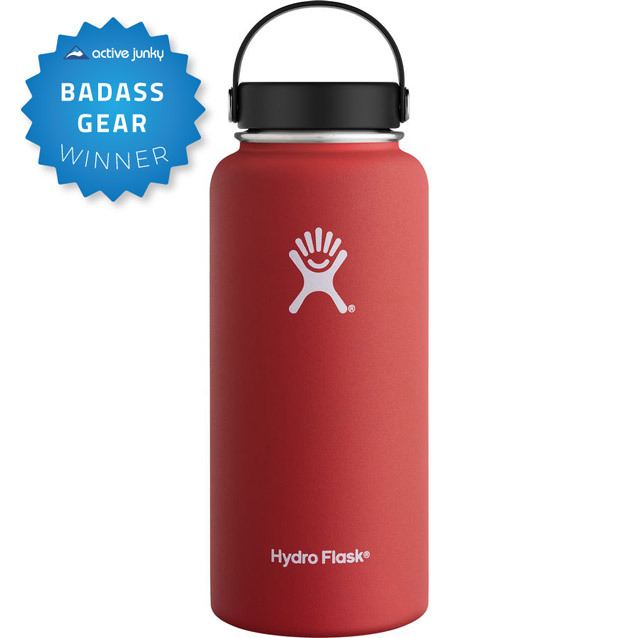 The Award-Winning Hydro Flask incorporates vacuum-sealed, food-grade stainless steel double walls; flavors don’t linger while liquids hold temp for hours. Breweries love them, slapping custom logos on the sides to replace standard glass growlers with 64oz. 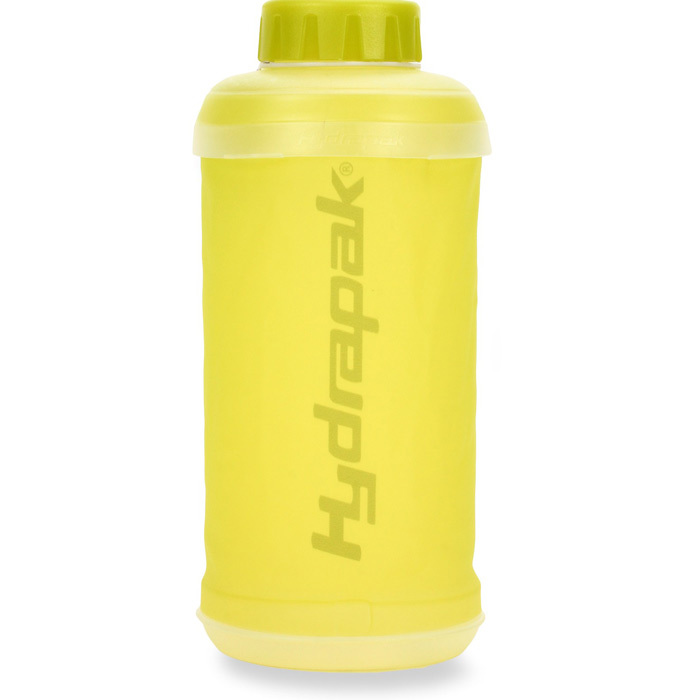 Hydro Flasks. Bonus: Hydro Flask donates 5% of your purchase to a charity of your choice. 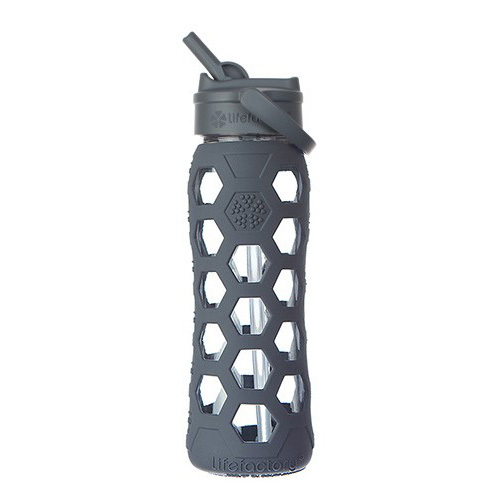 Buy the unpainted, brushed steel option for a no-nonsense water bottle that does it all. Heat water or employ it as an emergency reflector. Its opening is wide enough to accommodate ice cubes, small enough to prevent spillage. Empty, these flexible options take up minimal pack space. Between trips, only minimal real estate is required. We were skeptical of the Stash’s durability at first. After many trips stuffed in and lashed to our testers’ packs, it’s still chugging along and we’re still glugging from it. Collapsed to 2”, it fits comfortably in your pocket; a No-Leak lifetime guarantee provides peace of mind. A favorite piece of gear that now travels with us wherever, whenever – no matter the season or sport. Perfect for an extra two liters on the trail or reassurance at basecamp, the Platy weighs a fraction of traditional bottles. 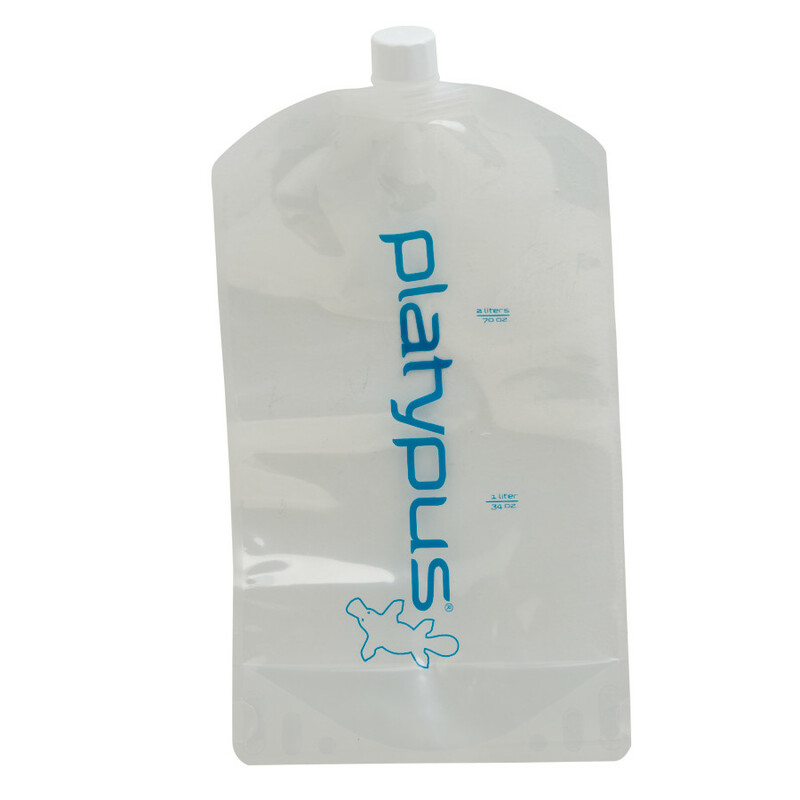 This flat-packer connects to the GravityWorks filter for hands-free water purification. Best For: Ounce-counters, base-camp back-ups. The gourmet, chemical-free feel of glassware is now available in the backcountry, as silicone wrapping adds an extra measure of impact protection. The simplest of the three, Active Junky favors the classic cap as a complement to the unmodified taste that glass offers. Best For: Office hydration, yoga-mat color coordination. All-glass, silicon-wrapped and complete with a stainless steel cap. It’s not light, but Clarity’s two-finger carrying loop feels good in your hands while plastic-free water delights your taste buds. Take note: the lack of a cap leash makes caps easy to misplace.